Making good choices can be hard when you don’t have positive role models to teach you how. The Combined Youth Services Trust aims to help Waitakere’s at-risk youth learn the skills they need to succeed in life. A grant from Harcourts Henderson and the Harcourts Foundation will allow intermediate aged children to continue to have access to a programme designed just for them. The Koru Programme teaches resilience, self-esteem and leadership skills and was developed in partnership with the NZ Police. Children who take part are also exposed to positive adult role models and given the opportunity to try activities they might not otherwise be able to, such as rock climbing and Snow Planet. Combined Youth Services Trust chair Beverley Revell says funding from groups like the Harcourts Foundation is vital to keeping the Koru Programme going. 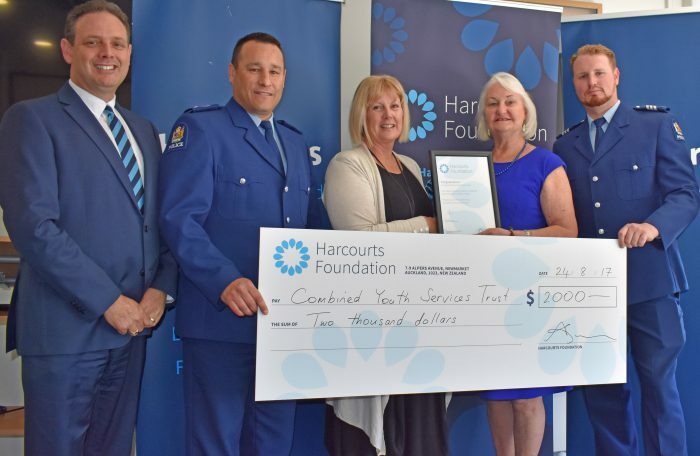 Harcourts Henderson general manager Suzy Bray says the Combined Youth Services Trust was the first charity they supported through the Harcourts Foundation.